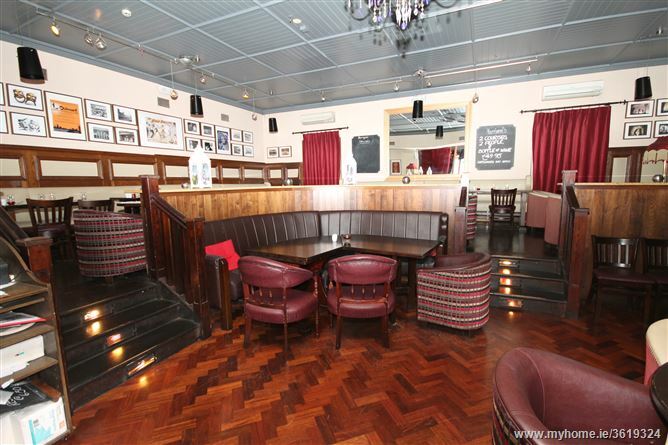 The self contained property comprises part of the ground floor and basement of a larger building providing a fully fitted and trading 7 day Licensed Premises and Restaurant. Internally, the property provides a front lounge bar with rear restaurant and service area to ground floor together with kitchen (incl. dumb waiter), toilets, storage (incl. keg store & freezer), and office to basement level. The property is fitted to a high standard with two internal stairs giving access to the basement. A goods entrance and keg loading facilities are provided to the rear of the building. 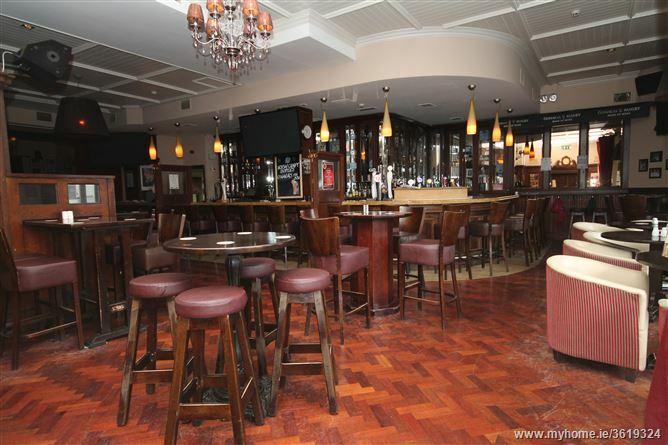 The Licensed Premises and Restaurant occupies a high profile location on the north side of the Main Street, close to the Liffey Bridge, in Newbridge Town Centre. The immediate surrounding area is predominantly commercial/leisure in nature with nearby occupiers including the Riverbank Arts Centre, Ulster Bank, and a number of Pubs, Restaurants, and Takeaway’s, including McGowans Nightclub. The property is let to Cabana Taverns Limited under a 4 year 9 month IRI Lease from 18th February 2013. The contracted rent is €90,000 p.a. which is currently abated by agreement to €60,000 p.a (excl. VAT). Inventory of Furniture & Effects included in the sale available on request. Strictly by prior appointment with sole selling agents. 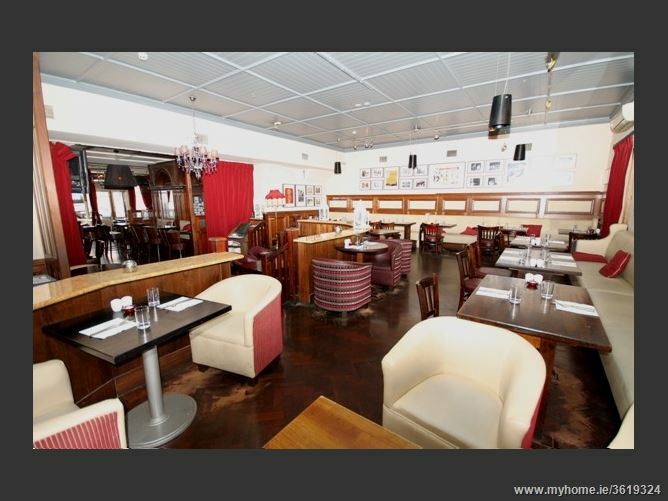 •	Situated in Main Entertainment Hub, opposite Riverbank Art Centre. •	Rent at €90,000 p.a. abated to €60,000 p.a.